Your story is not yet over. You are a wonderful, wacky woman with wings of courage and a strength unsurpassed. You've got this, girl, 'cause you're Crazy Brave and Wicked Strong. I suppose I'll always be crazy brave. Wicked strong left me, years ago. Oh Joanne. 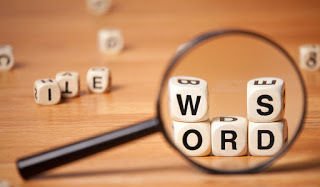 Watching from the sidelines I would say that you are Wicked Strong to the core. Joanne; I'm agreeing with EC here, you are the most Wicked Strong woman I know. EC herself is stronger than she thinks too. It's amazing what we can do when pushed to the limit. only slightly confused; I discovered that too, a while ago. I've more recently discovered what I can do even when I really don't want to be doing it, but have to because there isn't anyone else to do it. 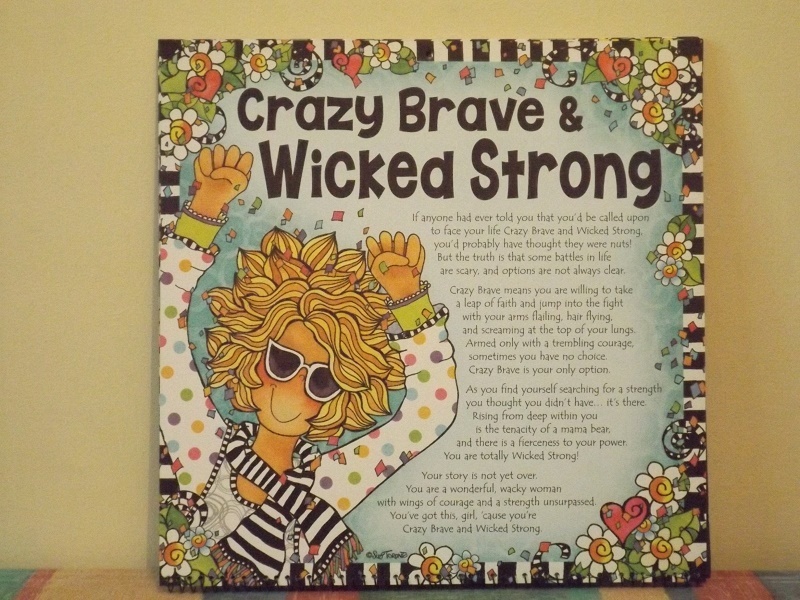 I am often crazy and wicked but not so often brave and strong! 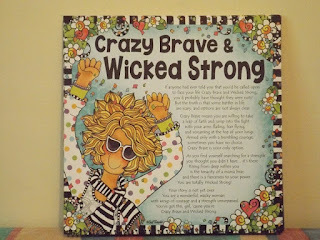 Around My Kitchen Table; I know I'm a bit crazy, but I'm not sure about the wicked part, or brave either. I'll concede to being strong when I need to. As always, I love your Calendar Tuesday post!! fishducky; thank you. It's time to go shopping for next year's calendars already. Love checking for leeks. That's too cute. I have the crazy part, not sure of the rest. Sharon; I like the searching for leeks too. I discovered a leak in my daughter's roof yesterday, it was raining and there was a mini waterfall pouring in through the porch ceiling joint. I told her to tell the landlord. I have the crazy part too and a fair bit of the strong. Brave is hiding, buried deep. As usual, Violent Veg works well for me. Love Suzy Toronto most today. I so hope she is right. 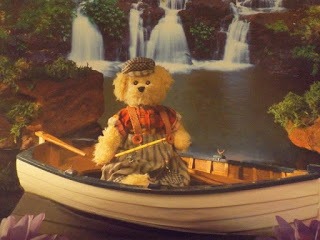 Elephant's Child; I want her to be right, at the same time, I'd rather be out on the boat with Teddy. Jimmy; I'd like to be out on the boat, but someone else can do the fishing part. The leeks took me a minute! I must be slipping. I love that kind of stuff. Like a t-shirt I saw with "Steamed Vegetables" looking quite angry. Val; I guess vegetables stuck on a t-shirt would be a little "steamed". This is new to me b/c I've been with hoe in hand all summer and rarely open the computer. Your Crazy Brave and Wicked Strong descrives yourself brilliantly. I think most women who live alone possess that kind of personality. If they don't have it in the beginning, they soon discover it's almost a necessity . 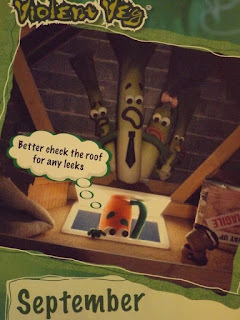 Yippee for Calendar Tuesday - loved checking for leeks! First off, thanks for stopping by TNS and commenting. Love the idea of Crazy Brave and Wicked Strong-- think I need a lot of work to get there but it is worth the shot.